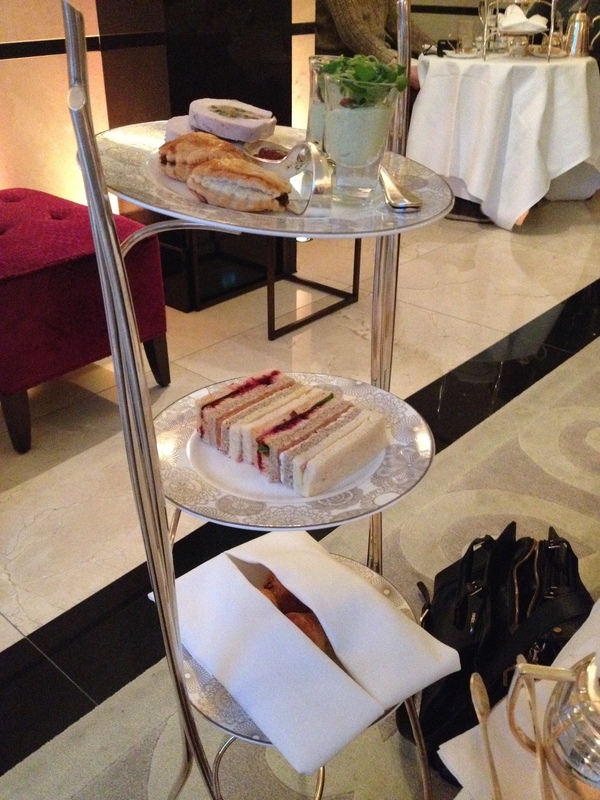 Afternoon tea has to be one of my favourite experiences. Getting all dressed up to sip on copious glasses of champagne, nibble on tiny sandwiches and eat the most gorgeous cakes with fine intricate detailing, whilst gossiping with girlfriends. 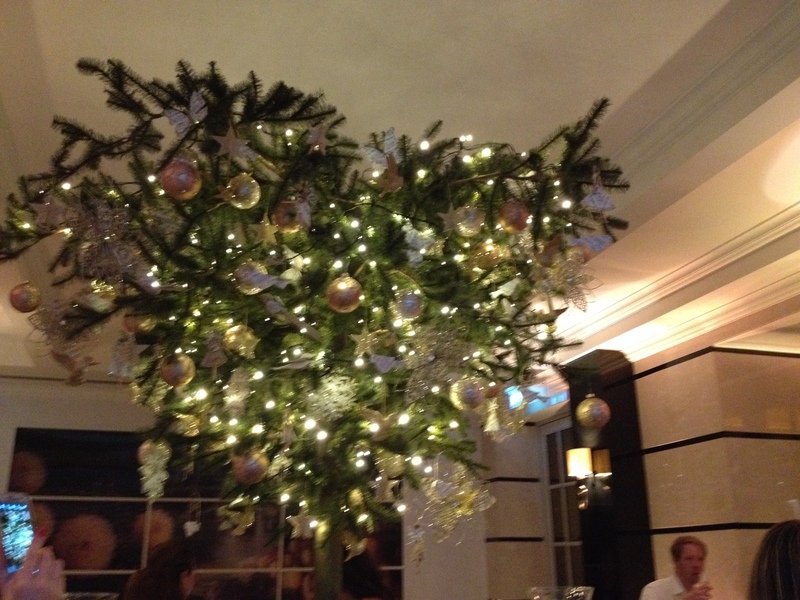 In London there is no shortage of places to go however the most luxurious dining takes place in the larger hotels. The setting is within a luxurious room with mood lighting, big comfy seats and sculptures. As it’s the festive season, carol singers make an appearance to make it even more special. First up was the savouries. Sticking with the festive theme there was a brussel sprout mouse (very odd! ), turkey ballotine, venison bite (hopefully not Rudolph!) and a selection of sandwiches. There were also orange and cranberry, and Christmas spiced warm scones with clotted cream and strawberry jam. There is a tea menu covering so many different flavours of tea eg from fruits to jasmine, however I opted for the vanilla black tea. Next up was the sweets and cakes. Very delightful and lots of detailing. 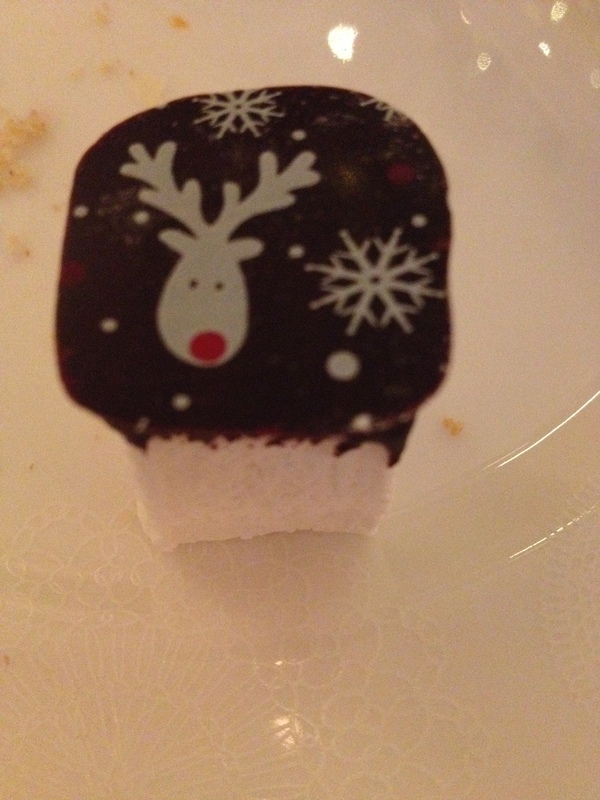 There was a snowflake macaroon (delish! 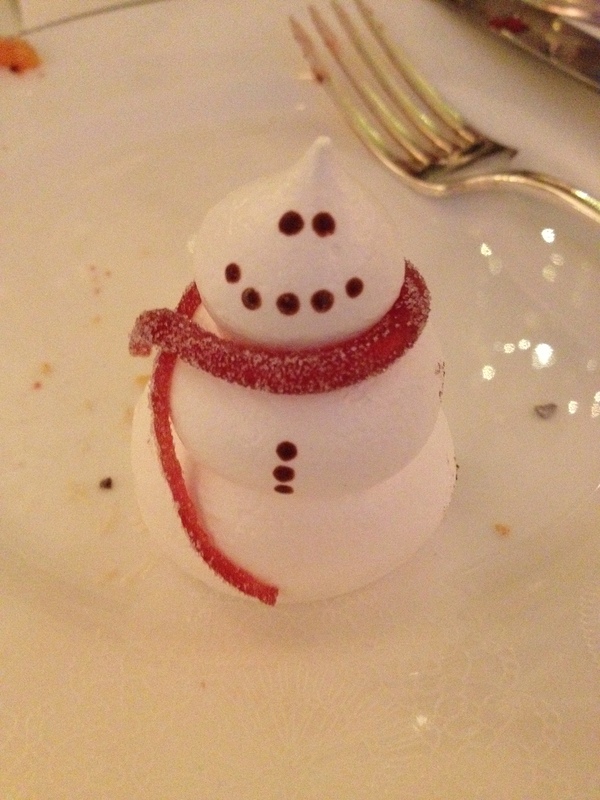 ), Christmas postcard marshmallows, meringue snowmen, white forest yule log, winter berry Christmas tree, chocolate orange Battenberg present and edible snow. Here’s a close up of my favourites…. And of course lots of champagne was drunk, followed by additional rose Laurent Perrier before heading home. 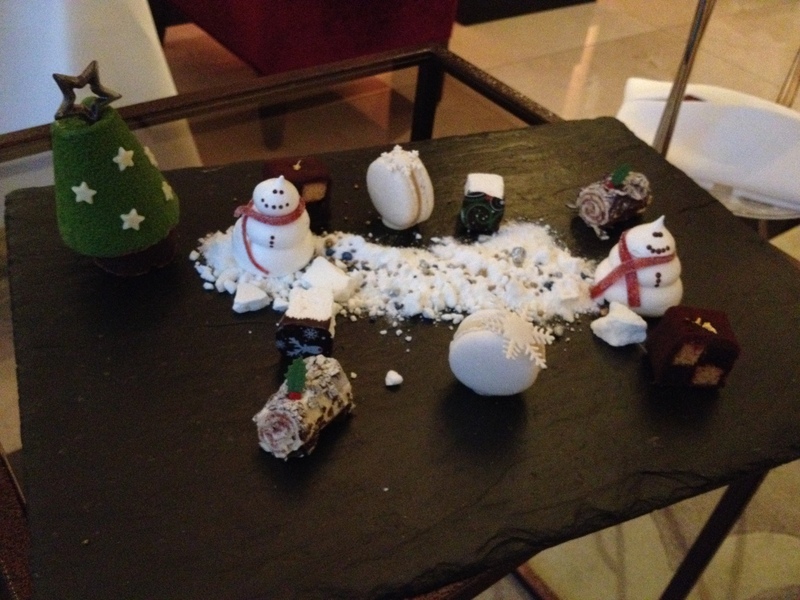 There are always offers and seasonal themes on at the Conrad. I would definitely recommend and will of course be back in the New Year.